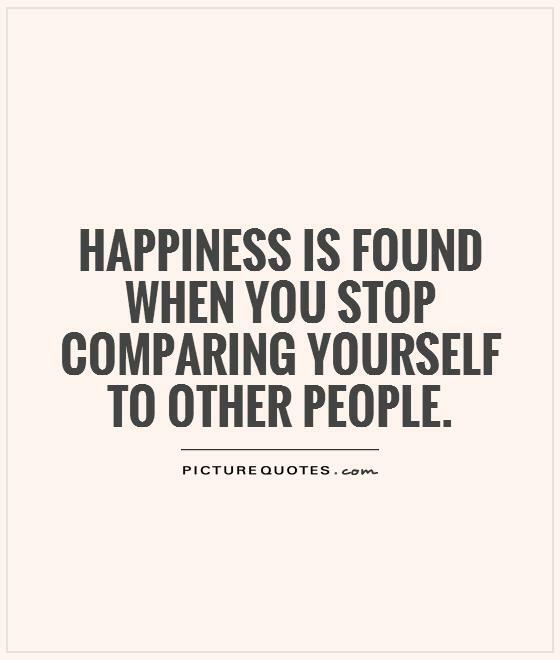 Comparisons always ruin our inner peace. You look at someone and say, ‘How is she so successful? She’s not even as qualified or ethical as I am?’ You may not be jealous of this person, but you are pining for her success. You see someone with a nice car, a beautiful spouse, the latest smartphone and a lustful thought__a pining__crosses your mind. That’s comparison sowing the seed of jealousy in you. Slowly jealousy leads you to want to outdo that person. To live like that person. Your entire effort has shifted from living, being yourself to becoming like that person. And when you encounter difficulties on the path, which you surely will, frustration sets in. Eventually, you are consumed by this urge to become rather than just be. An organization that we used to consult for was once faced with a peculiar situation. One of their best performers and a senior team member put in her papers. She had been recently feted by the company’s Board and had received a generous pay hike and a promotion. Her issue was that she felt that her colleague, who according to the Board was as capable and as senior as she is, must not be given the same remuneration that she was receiving. Obviously, when logic and counsel failed to make her see reason, the organization simply let her go. It was sad. This lady was one of the most efficient business leaders we had come across in our consulting career. But her ruinous urge to compare herself with another made her lose the plot. Completely. In a matter of a week this lady had sunk into an abyss of depression at a time when she really ought to have been celebrating. This is not to say that you should not be ambitious or that you should not put in an extra effort in a competitive environment. This only means do it with the may-the-best-person-win attitude and not with the ‘wotsubusu‘ attitude. ‘Wotsubusu‘ is Japanese for ‘annihilate, crush or destroy’. When you live Life to collaborate, to enable, you will win. When you try to win at another’s expense, you will eventually lose (in) the game of Life. Simply, co-live. Life has a big heart, a bigger canvas, for all us to paint our masterpieces. Author AVIS ViswanathanPosted on July 5, 2015 March 14, 2016 Categories Art of Living, Don't Compare, Happiness, Inner Peace, Intelligent Living, Jealousy, wotsubusuLeave a comment on Don’t compare. Just co-live.